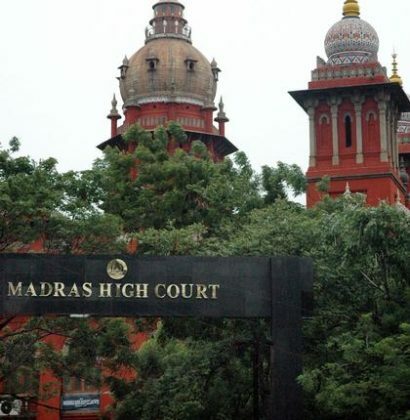 Chennai : People should be informed that vaccination does not cause cancer, the Madras High Court has said in a direction to the Tamil Nadu government after a vernacular daily claimed immunization led to cancerous growth in a boy. Passing an order in a matter it took up suo motu based on a recent news item in a Tamil daily, the court said people should be informed that studies held globally showed that vaccination protects children from paediatric cancer. A Tamil daily had claimed recently that immunization administered to a boy when he was six months old had led to contusion. It had claimed that the contusion in the child, now six-years-old and a resident of Erode district had progressed nto a cancerous growth. Based on the report, the High Court bench, comprising Justices S Nagamuthu and Anitha Sumnath, quoting expert opinion, said the cancerous growth on the right thigh of the child was not a result of immunization. Tamil Nadu health authorities, heads of the Departments of Oncology of AIIMS and Tata Memorial Hospital in Delhi and Mumbai respectively had given expert opinion.They had said that there was no medical evidence to prove that cancer in child could be due to immunization. The court said that without clarifying the correctness of the claim, the widely circulated daily had reported as if the cancerous growth was a result of immunization. It noted that the article would create apprehensions among people that there was at least, a “close nexus” between immunization and the cause of paediatric cancer. “We apprehend that, in future, people, particularly, innocent, ignorant and remote villagers may be reluctant to take their children to government institutions on time to immunize them,” the bench said. Hence, it was essential for the government to reach out to people, it said. It should be explained to them that immunization has got nothing to do with cancer. Based on the news item, the bench had directed special treatment for the child in Chennai and also visited him in the hospital.